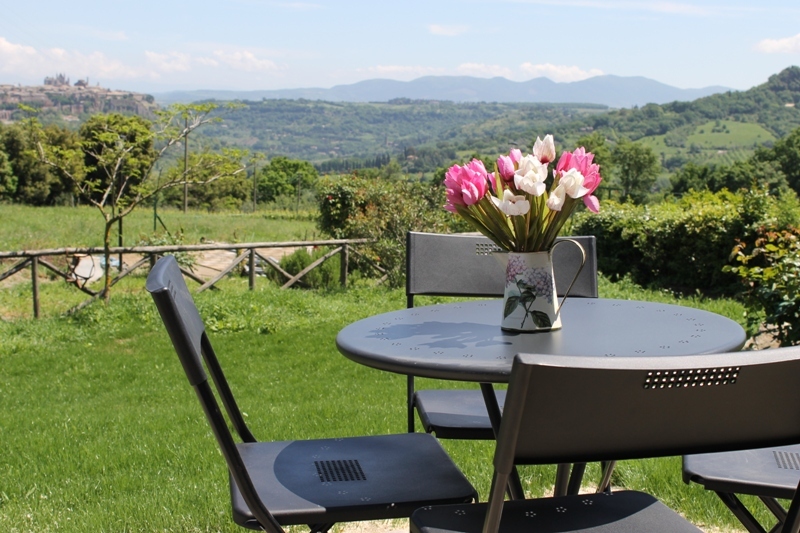 The farm is situated in open countryside with panoramic views over the city of Orvieto. At our property, not far from the family home, you will find two separate vacation houses used to welcome our guests. Both houses have been recently restored preserving the original architectural features of rural Umbria, providing an intimate and real family environment, rich in tradition and in harmony with the surrounding nature. The name of the houses takes inspiration directly from the wild nature that surrounds our property. The dark stone which the houses are built with is widely present in the area and in fact among the narrow streets and paths that wind in this area is easy to find evocative walls of large dark rocks. 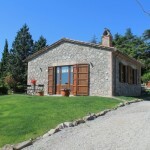 surrounded by greenery and has an enviable location directly facing the rock of Orvieto with spectacular views. Each of the two apartments built in the house has its own small patio area with table and chairs for relaxing moments outdoors. 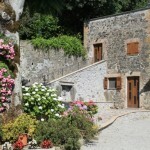 Located 10 meters away from Casale del Sasso, this house offers accommodation in 2 apartments (one sleeps 2+1 and one sleeps 2). One apartment is on the ground floor and the other one is upstairs. This accommodation is directly derived from the skilful restoration of an old farmhouse with exposed stone and retains all the charm of the original structure in its interior, with some walls that have large boulders embedded.